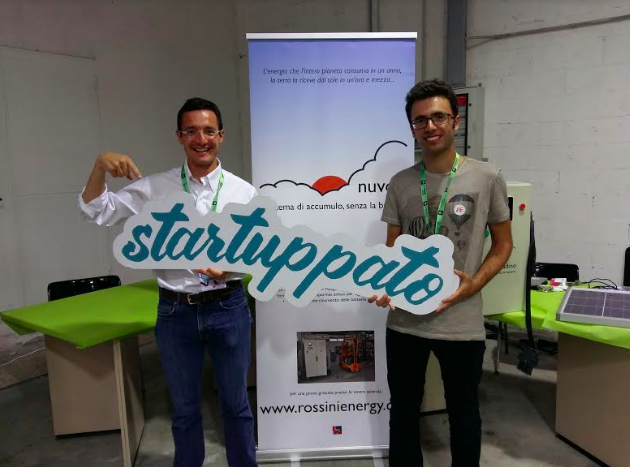 Luca Rossini and Rossini Energy, in the sparkling meeting of Startupper and other creatives who think and realize a better future, have created a fun and meaningful event in which we do not present ourselves as sellers but as carriers of improvements in a mutual exchange of ideas. Often these events are identified as Vetrine to sell in reality for me they are experiences of mutual exchange to grow and fortify innovation. So I will not tell you how many contacts and how many visitors we have had but how much I have enriched, and consolidated in my project now reality.